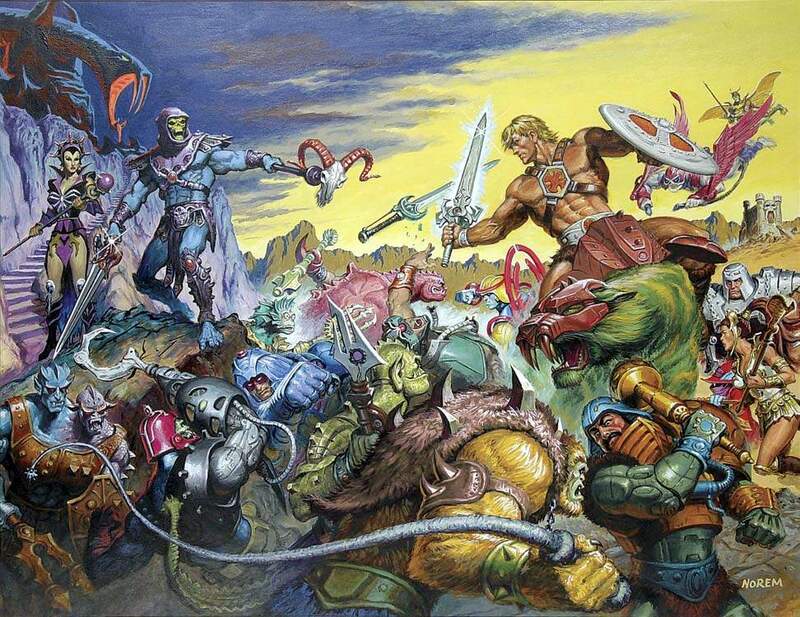 And there you have it: over seven months later, we’ve completed our read-along survey of Masters of the Universe print media in the 1980s (don’t think we’re done, though – far from it – more on that below). If you’ve been with us this whole time, then hoist the flag, and thanks again for sticking with us. I trust you got to see a few things you missed growing up – I certainly did. I won’t presume to try to offer any kind of profound insights into this body of work; I think that would be unduly pretentious. (The most cynical will of course say that every last one of these books and comics were little more than glorified toy commercials, but the way I look at it, Mattel et al. got my parents’ money and I got a happier childhood: a mutually beneficial business arrangement.) I will say that the material was more or less as I remembered it: some of it was great, some of it was terrible, and quite a bit of it was middling, but I dare say that nearly all of it was enjoyable. And we saw some fantastic art – from Alfredo Alcala, Bruce Timm, Earl Norem, and others. I’ll take this opportunity to offer an opinion on a related matter. As you may be aware, there’s a Masters of the Universe Classics toy line for “adult collectors” (the figures sell for $20-$30) that began in 2008. On the packaging for these figures, reasonably serious attempts have been made to try to standardize everything – the mini-comics, the Filmation cartoon, the 200X cartoon, and heck, even the New You-Know-What cartoon – into one consistent canon. On the one hand, this is something of a noble effort, and, as we’re not exactly dealing with Crisis on Infinite Eternias here, it largely works, particularly as concerns the two He-Man and the Masters of the Universe cartoons and toy lines. But with respect to the earliest pre-Filmation stories, it gets a little ridiculous. Let me put it another way: Mattel, you lost me at “Oo-Larr, the Jungle He-Man.” I’m never going to read those earliest mini-comics and think, “Oh, this is Oo-Larr, the Jungle He-Man.” I don’t need (or want) Oo-Larr, the Jungle He-Man to make sense of my He-Man world, just like I don’t need the Goddess and the Sorceress to be two different entities – some of us remember how it really went down. 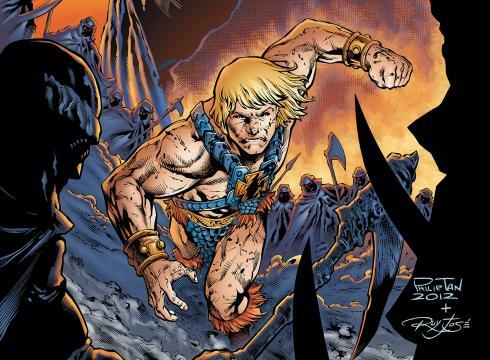 Plain old regular He-Man, whether he has a Prince Adam alter ego or not, does me just fine, thank you. 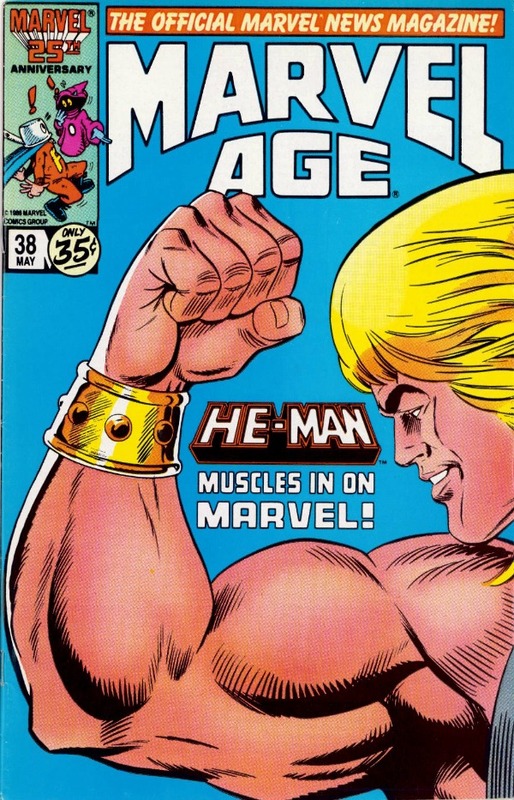 Like the old song goes, you can take this whole world, just give me He-Man. Thus, because I prefer a little ambiguity to things like having multiple He-Mans and knowing silly “real” first names for all the characters, I have ignored the MOTU Classics backstories, and will continue to do so. If, someday, a new cartoon were produced using this revisionist continuity, then we can talk about it; in the meantime, I don’t really see the point. So we’re done with the 1980s. Did we get it all? In a word, no. There was a great deal of material published in other languages (some reprints, some original); I’m not including all that. 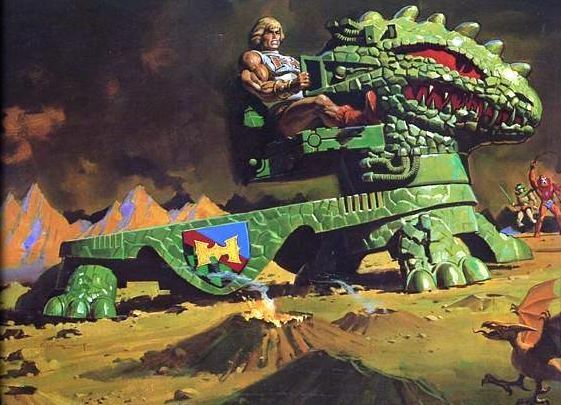 I’m almost completely certain that we got all the Masters of the Universe books that were published in the US and the UK (if I missed anything, though, please do let me know). I know we covered all the comics, mini-comics, and magazines from the US. 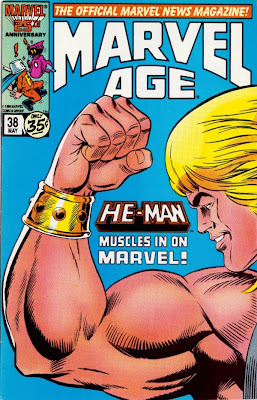 - When Marvel Comics prepared to kick off their run of Star comics, they put He-Man on the cover of Marvel Age #38 (this was Marvel’s news/promotional magazine) and ran a three-page feature on it (pages 19-21). - There were two original comic book series published in the UK: Masters of the Universe and Masters of the Universe Adventure Magazine. Both had respectably long runs. - There were two Masters of the Universe newspaper strip stories: “He-Man and the Rock People” and “He-Man and the Snake Men.” Those links have the content, but unlike most everything else we’ve linked to on He-Man.org, the order of the pages cannot be readily discerned. - There were a number of annuals. The vast majority of these pages are not available. Here’s one more thing you might find interesting, although it falls outside the purview of what we’re doing here. In the 1990s, Lou Scheimer developed a series bible for a proposed cartoon that never came to be, He-Ro Son of He-Man and the Masters of the Universe. This is relevant to our interests because it draws heavily from the mythology already established: Adam and Teela are now King and Queen of Eternia, numerous other characters return, and at least some of the character designs are reasonably faithful to the old cartoon, although the whole thing is extremely nineties (for the record, this He-Ro is unrelated to the Powers of Grayskull He-Ro). We’re going to spend the first half of March taking a read-along look at the comics based on the 200X cartoon. We’ll look at a fair amount of this material in arcs rather than review every issue individually (for simplicity, we’ll deal with trade paperbacks where possible). We’re going to look at everything that exists except for the 2002 Promotional Issue, because I don’t really see any point to it. You can check that out HERE if you’re so inclined. In these reviews, I’m going to assume a basic familiarity with the cartoon; that is, the major ways it’s similar to and different from the Filmation cartoon. Let me just say that for my money, the 200X cartoon does a substantially better job with every supporting character not named “Orko,” “Cringer,” or “Marlena,” and that this He-Man is to the Filmation He-Man as the modern Superman is to Pre-Crisis Superman (that is to say, all things considered, the new one is pretty cool, but I like the old, more powerful one better). In the second half of March, we’ll look at the comics published thus far by DC in 2012 and 2013. This is a new, grittier mythos – we’ll try to keep an open mind. As this stuff is brand new, the vast majority of this portion won’t, alas, be read-along (yet...I’d be surprised if all of it isn’t eventually archived on He-Man.org). That will take us to the end of March, when we’ll finally wrap this bad boy up.